What’s wrong with intentional community? 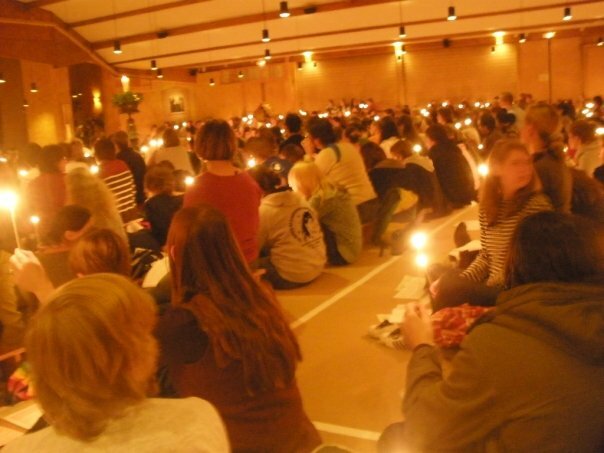 Thousands of people sing and worship together in this intentional community in Taizé. I wrote an article for a Christian magazine a couple of months ago and mentioned that a young missionary lived in an intentional community with other missionaries. I thought it was cool, because the missionary said the four young women had weekly meetings and talked about any cohabiting issues that’d come up — like cleaning out the fridge. And then they’d pray together. This minor reference to an intentional community was edited out of the article. I wondered why. But, as usual, I didn’t make a fuss. I never asked the editor, Was there something wrong with that information? And then, last night, I saw the movie Wanderlust. The leader of the hippie commune corrects Paul Rudd, “No, not a commune; We prefer intentional community.” And everyone in the audience laughed. And then I got it. Intentional community is perceived as hippy, dippy, grungy, suspicious, free love, attractive but not sustainable. Briefly, I lived in intentional community. There was hardship and friendship. (That's me on the right, with Lee, our wrangler). Tell that to the monks and religious orders. Religious people, like monks, priests, nuns, and, even young adult missionaries, live together and care for one another in communities all over. And it makes good sense, especially as people age and do not have children or spouses to care for them. Human beings are social creatures. We crave community, intentional or ad hoc. Is being one half of a married, straight couple the only sanctioned way to live? I don’t think so. 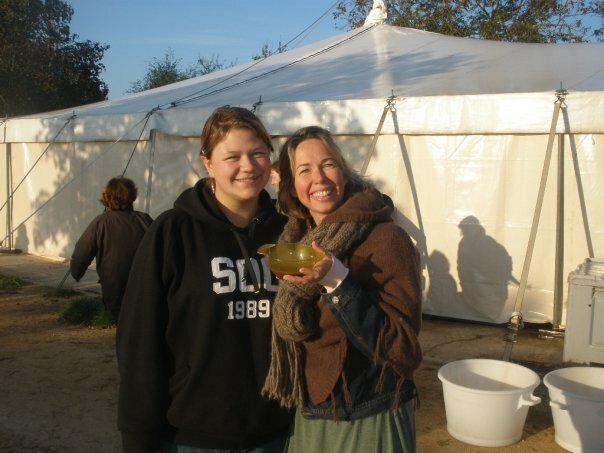 I thought a lot about this when I went to Taizé a few years ago. In that monastery, the brothers seemed to care a lot about one another and they cared a lot about the thousands of people visiting and living with them. That is intentional community too. If an intentional community is based on love – and figuring out who cleans the fridge – that does not seem to be so crazy. That seems to me to be the point.